One of the greatest feats in Patrick Leigh Fermor's remarkable life was the kidnapping of General Kreipe, the German commander in Crete, on 26 April 1944. He and Captain Billy Moss hatched a daring plan to abduct the general, while ensuring that no reprisals were taken against the Cretan population.... read more Dressed as German military police, they stopped and took control of Kreipe's car, drove through twenty-two German checkpoints, then succeeded in hiding from the German army before finally being picked up on a beach in the south of the island and transported to safety in Egypt on 14 May. Abducting a General is Leigh Fermor's own account of the kidnap, published for the first time. Written in his inimitable prose, and introduced by acclaimed SOE historian Professor Roderick Bailey, it is a glorious first-hand account of one of the great adventures of the Second World War. 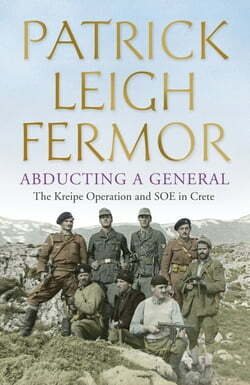 Also included in this book are Leigh Fermor's intelligence reports, sent from caves deep within Crete yet still retaining his remarkable prose skills, which bring the immediacy of SOE operations vividly alive, as well as the peril which the SOE and Resistance were operating under; and a guide to the journey that Kreipe was taken on from the abandonment of his car to the embarkation site so that the modern visitor can relive this extraordinary event.